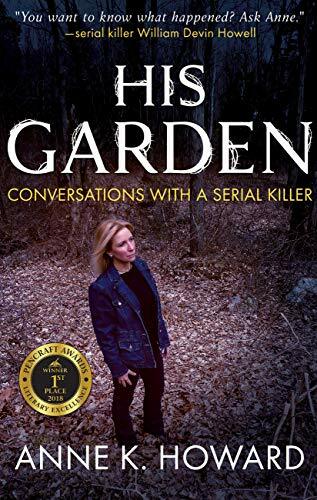 Serial Murders in Connecticut: An excerpt from Anne K. Howard's manuscript, "His Garden: Conversations with a Serial Killer Suspect"
An excerpt from Anne K. Howard's manuscript, "His Garden: Conversations with a Serial Killer Suspect"
Detective DeRoehn was frustrated. It had been weeks since his visit with Dorothy Holcomb. Since then, he searched relentlessly for Howell driving the highly identifiable van. If only he or Godart could find Howell, they could stop him as a suspended motor vehicle operator and take him in for questioning. After contacting Holcomb, DeRoehn did a NCIC computer check of Howell and found that the New Britain Police Department wanted Howell for a charge of Assault in the Third Degree. According to the records, the victim of the assault was Howell’s biggest advocate, Dorothy Holcomb. It seemed the couple recently had a quarrel that illustrated Howell’s propensity of violence against women. During the fight, he ripped the telephone from the wall to prevent Holcomb from calling the police. She tried to run upstairs, but he physically restrained her and punched her in the stomach. He also punched the back of her head and her left eye. Obviously Holcomb was running interference for her boyfriend on the day of their visit. She probably knew that he had a lengthy criminal history along the East Coast including burglary convictions, and that he was currently wanted for Violation of Probation. Meanwhile, DeRoehn had not ruled Sanchez out as a suspect. Sanchez took a polygraph test on December 3, 2003. Although he was cooperative in answering questions about the events of July 25, 2003, the results of the examination were inconclusive. A break finally came in the case on the following day, when DeRoehn did a NCIC computer check of the Connecticut registration number on Holcomb’s van. It revealed that the van was in North Carolina. Evidently, Howell had been stopped and arrested for a motor vehicle violation by a sheriff’s deputy of Dare County the day after Thanksgiving at 11:46 p.m. At the time, Howell provided false photo identification with the name of Robert Howell, and a false date of birth, March 17, 1971. 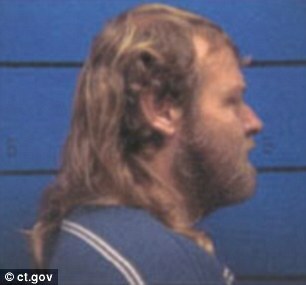 Howell posted bond and was scheduled to appear at the Manteo County Courthouse in North Carolina on January 30, 2004. Fortunately for DeRoehn, Howell dutifully appeared in court on the day of his arraignment. It took some work, but DeRoehn was able to convince North Carolina authorities to detain Howell at the Manteo County Correctional Center to await extradition to Connecticut. The Virginia native was now officially the sole suspect in Arizmendi’s disappearance, since a second polygraph conducted on Ace Sanchez on December 19, 2003, rendered the result of “No Deception Indicated” (N.D.I.). Who can explain the juxtaposition between an alleged killer’s grizzly deeds and the way that he presents to friends, acquaintances and the public at large? After making the 800-mile trek from Connecticut to North Carolina on February 19, 2004, DeRoehn and his associates, Detective Davis and Police Officer Gagne, met with a hefty and courteous baby-faced man. At 5’9’ and 220 pounds, Howell seemed harmless, albeit shackled and handcuffed via belly chain. Howell’s meager belongings, contained in an orange Manteo Correctional Center plastic bag, were deposited in the trunk of the unmarked police cruiser. Gagne read Howell his rights under the Miranda law. He arrested him for two counts of violation of probation. He was escorted to the cruiser and belted into the rear seat behind Davis, who drove. On the trip back to New England, Howell made it clear to the officers that he would only talk about the scenery. He also did not mind discussing his upbringing in Virginia. However, he did not want to talk about any of the cases against him. DeRoehn sat beside Howell in the back seat. About three hours into the drive, Howell asked why the men had traveled 800 miles one way for a mere misdemeanor warrant. “Do you really want to know why?” DeRoehn asked. DeRoehn pulled out a folder and removed a picture of Nilsa Arizmendi. In a subsequent statement, DeRoehn said that Howell’s eyes widened. The color drained from his face. He moved away from DeRoehn and leaned back in the seat. Gazing out the window at the passing scenery, he expressly told DeRoehn that he would not speak without his attorney present. Howell was provided lunch and dinner on the road, and dropped off with Troop L in Litchfield, Connecticut, later that evening, where he continued to remain silent. He appeared in Superior Court in Litchfield on Friday, February 20, 2004. He was thereafter detained at the New Haven Correctional Center on $100,000.00 bond. Howell would not remain silent much longer. In fact, in the months and years to come, he would demonstrate a self-destructive habit of confiding in all the wrong people at all the wrong times.